We'll help you save on Manulife Insurance! Manulife Canada is one of the biggest names in insurance, providing quotes and coverage for health, life, and travel insurance. An institution in the Canadian insurance industry, the company was started in 1887 – led by their first company president and Canada’s first Prime Minister, Sir John A. McDonald. Today, Manulife Insurance has grown into a global company, helping more than 20 million customers in more than 20 countries worldwide. Diverse insurance options : The company offers life, health, and wealth solutions that can help you with all aspects of your life and provide you with sound insurance coverage. Committed and trustworthy service : The company and its insurance advisors are committed to providing you with dependable and personalized advice to help you with your insurance needs. Advice from expert insurance advisors : Advisors can help you select the right level of coverage and save money on your insurance plans. Community support : Manulife Canada is a proud supporter of local communities. They support the community in a variety of ways including community development initiatives, health and wellness programs, have strong conduct standards, and they are committed to volunteering, philanthropy, and the environment. These are only some of the many reasons why Canadians choose Manulife for their insurance needs. Even though they don’t offer car insurance or home insurance coverage, they do provide effective insurance solutions in many other areas – including health insurance, life insurance, and travel medical insurance. Get a health insurance quote and explore coverage options by contacting a ThinkInsure broker today! Contact us toll-free at 1-855-550-5515. It’s never too late to get a Manulife life insurance quote. 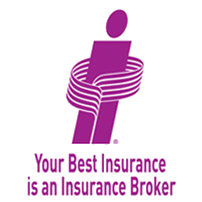 Call a ThinkInsure broker today to compare quotes and save 1-855-550-5515. Whether you need single or multi-trip coverage, travel medical insurance, trip cancellation or trip interruption coverage, or more, a Manulife travel insurance plan has you covered. Get a Manulife travel insurance quote today. Call a ThinkInsure broker to compare quotes and save 1-855-550-5515. Are you a small business owner? Whether you are just starting out, in a growth phase, or are established, Manulife offers business insurance solutions that will meet your specific needs. Whether you want to explore your options for Manulife Flexcare or CoverMe solutions or any of their health, life, or travel insurance options, our brokers are happy to work with you to compare quotes, and answer your quote related questions. Contact a ThinkInsure broker today toll-free 1-855-550-5515 to get a Manulife Insurance Quote or learn more about coverage options.